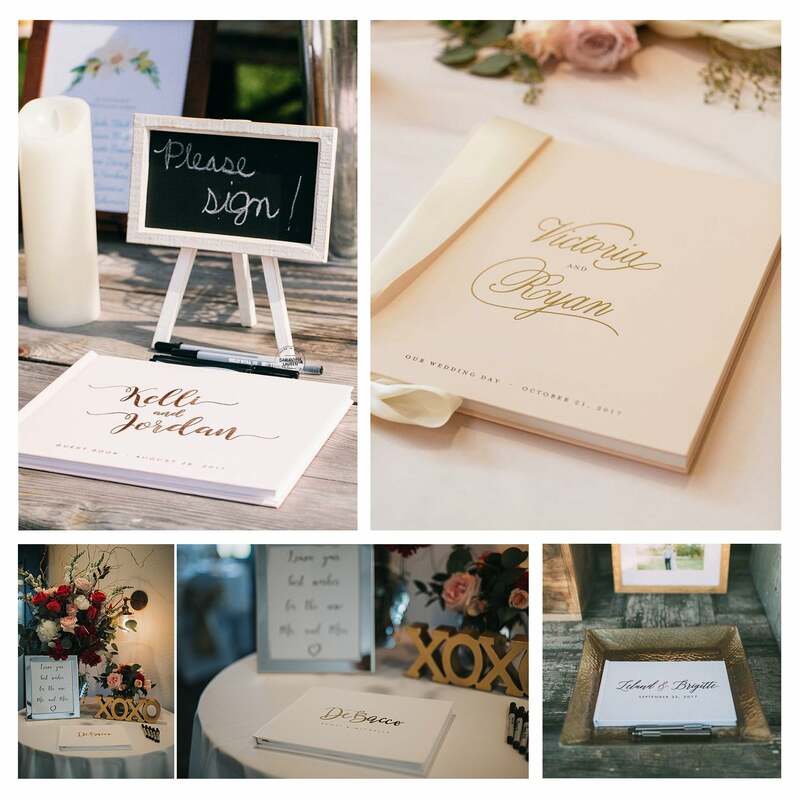 This classically designed wedding guest book feautures your names in a sweeping calligraphy script in your choice of color. 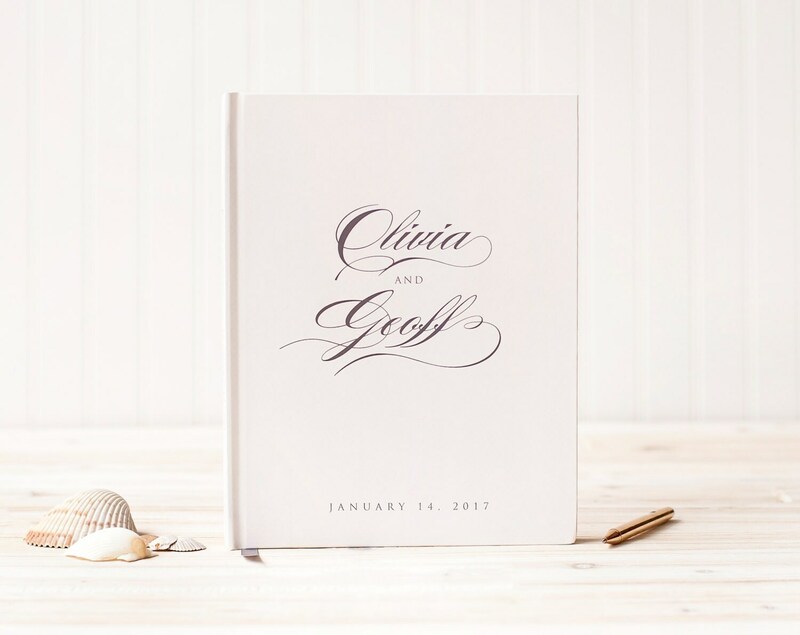 Pictured here in our warm dark gray, the script is both traditional and fresh to create a classic look for your wedding keepsake. 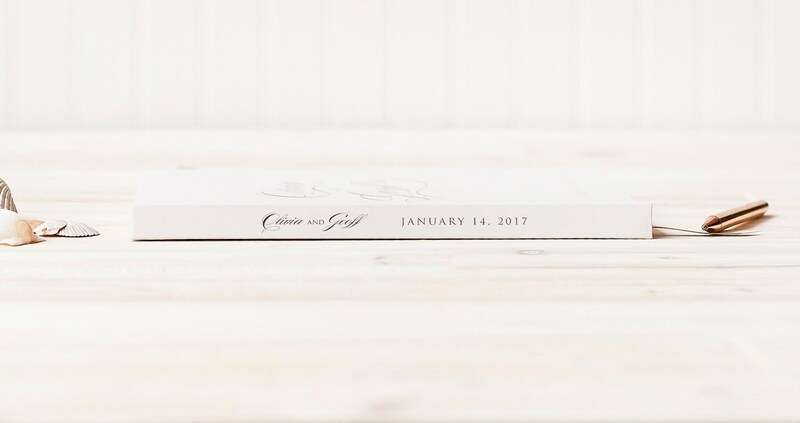 This book can hold memories of your wedding day from your family and friends, photos of your guests from a photo booth or instant camera, or act as a wedding album for a catalog of your favorite images from The Best Day Ever. 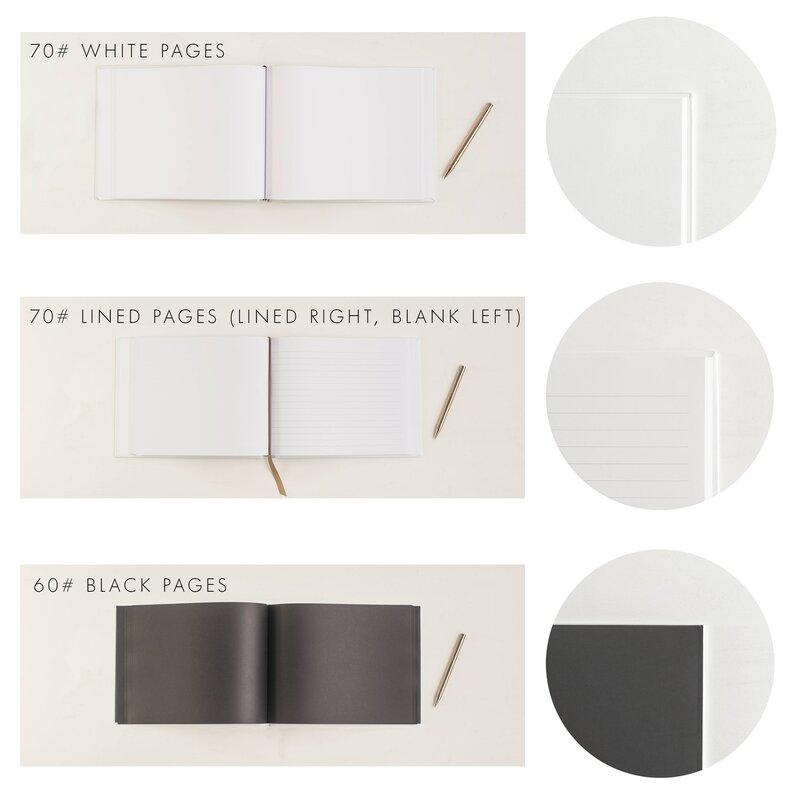 Available in three sizes and with lined, blank, or black pages to suit your needs. 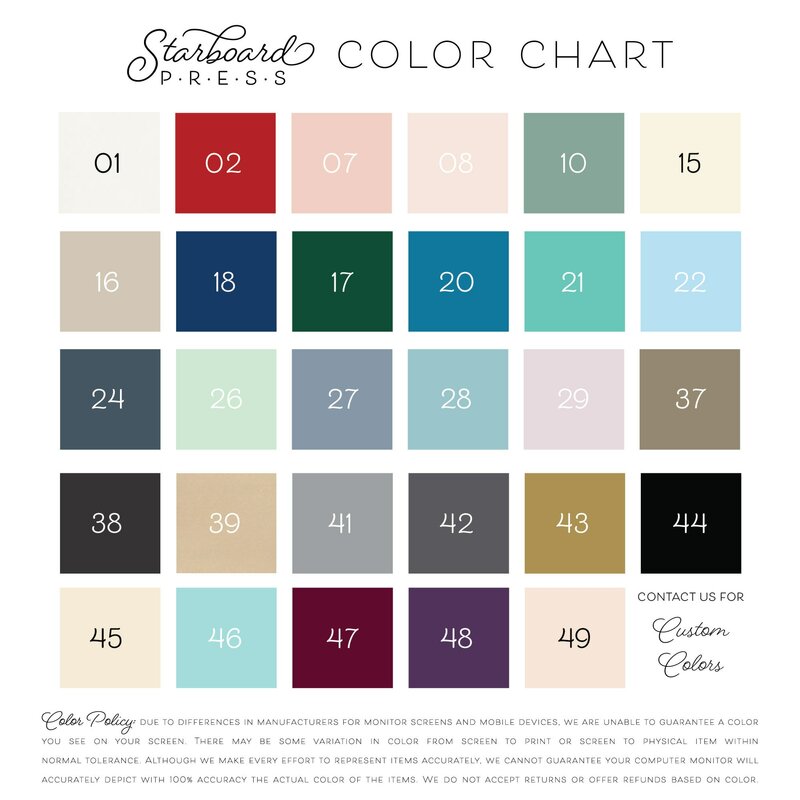 Font and cover colors are customized using the color chart in the last photo. This design is available as shown with your names and date in the design shown. 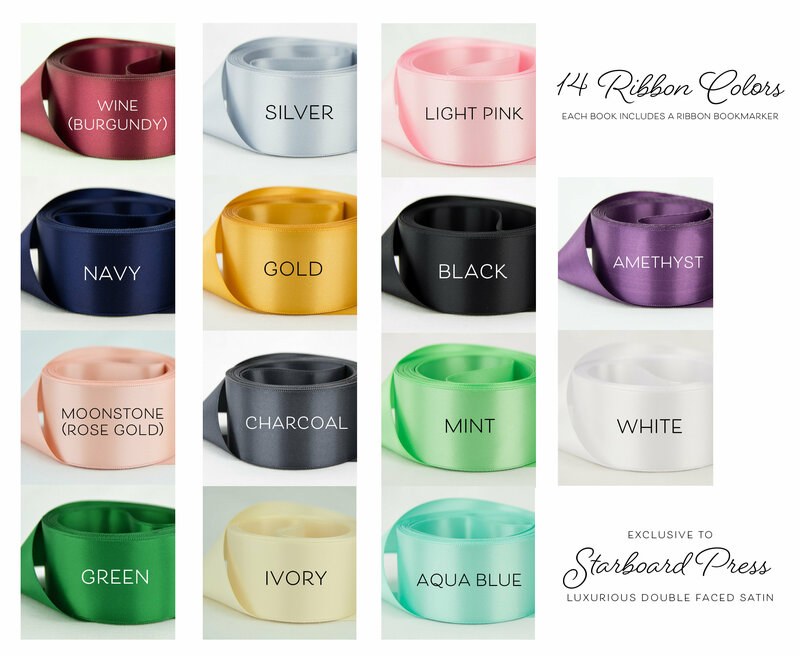 Any customizations to the design shown may incur additional fees, so please contact us ahead of time with any custom requests. 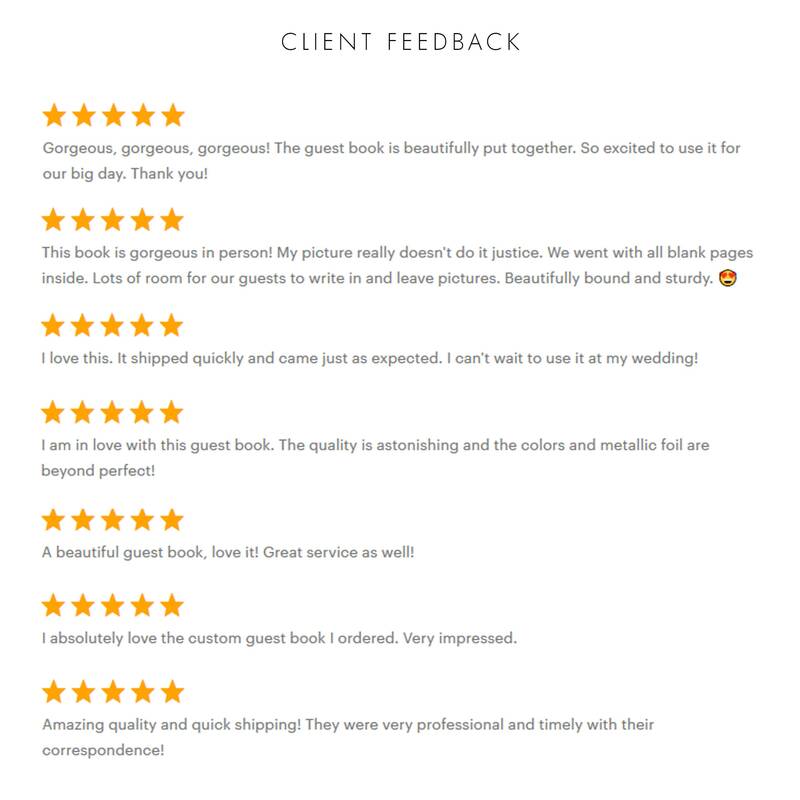 We're happy to give you a quote for customizations. 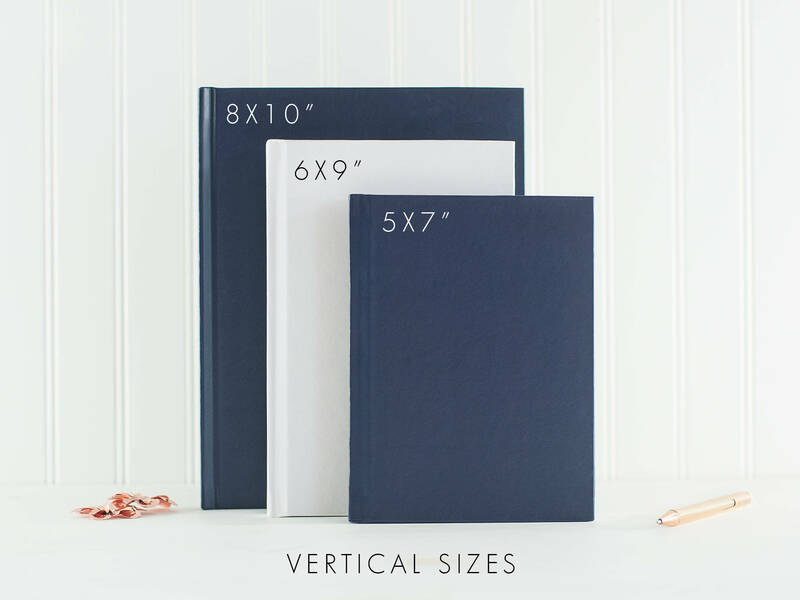 This can also be used for a bridal shower journal or guest book, engagement party guest book, etc. 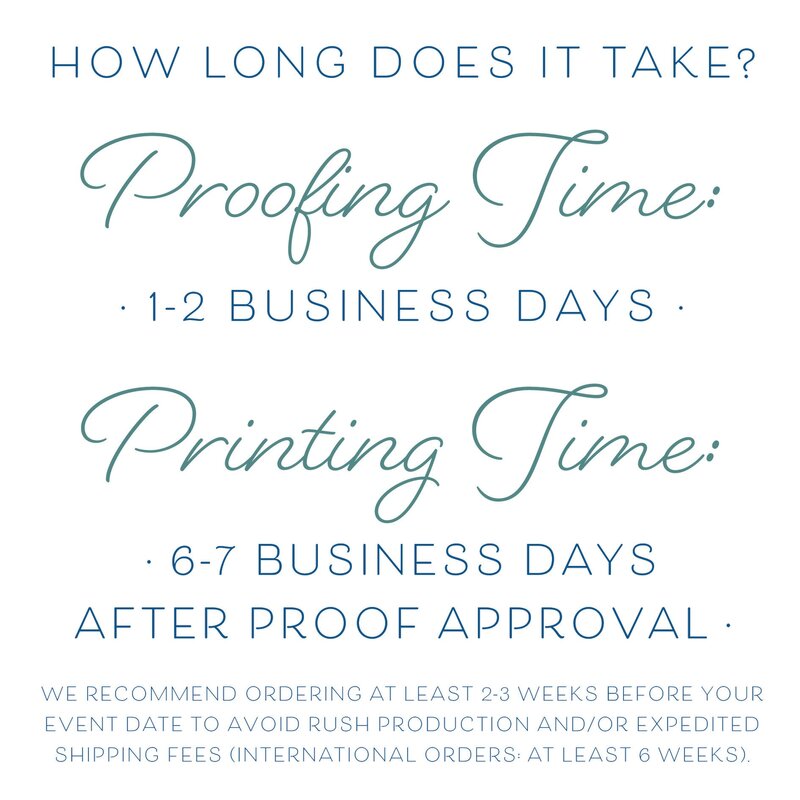 - we can customize the lines of text accordingly.